Web configurator aka Web interface is the main tool for managing and configuring your Keenetic. 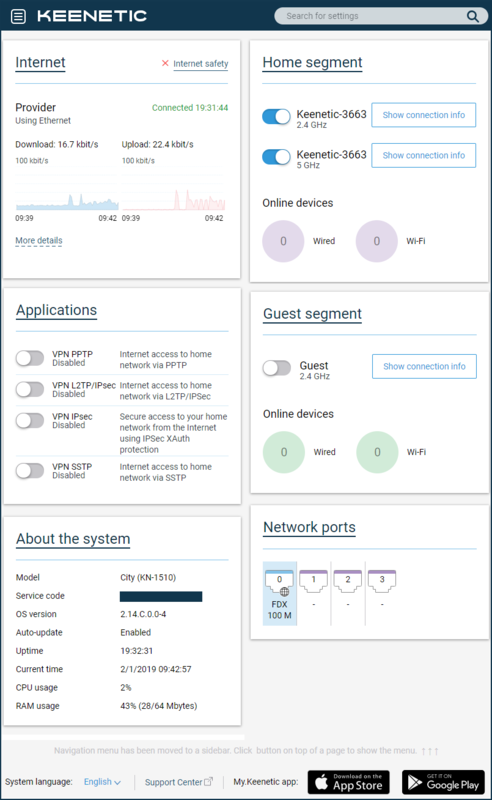 It allows you to set up the Internet connection, verify settings, check the current KeeneticOS version and the availability of an update, install or uninstall system components, view the current connection speed of home devices, save the configuration file, enable remote management and much more. The first time you access the web interface (when your Keenetic is on default settings), the Initial Setup Wizard starts automatically. Click 'Start Setup Wizard' and follow the steps to complete the configuration. NOTE: Important! To protect against unauthorized access to the settings of your Keenetic, create and set an administrator password. Later on, to log in to the web interface, use username: 'admin' and the password you set. Remember or save the administrator password somewhere, as you may need it later, if it is necessary to make changes to the router's settings. 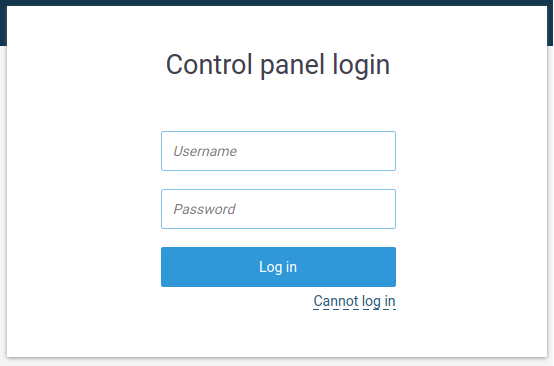 If you have previously turned on the Keenetic, configured it using the web interface, and set the administrator password to access the web interface of the router, upon connection you will see an authorization window. If you don't know the password, forget it, or want to restore it to the factory default settings, use the 'Reset' button on the router to reset the user settings. Press and hold for approximately 10-12 seconds. On subsequent connections, you will see the 'System dashboard' starting page. NOTE: Important! 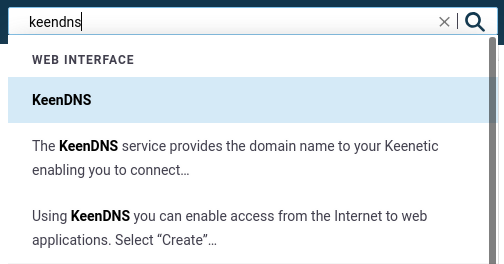 By default, access to management of your Keenetic (its web interface) is possible from the local network (Home segment), as access from the external network (Internet) is blocked. This is implemented for the purpose of home network and device security. In the upper left corner of the screen there is a menu button (control panel) with router settings. On the widescreen displays, this panel can be located on the left side of the interface. NOTE: Important! Keenetic's operating system has a modular structure that allows for users to select a set of components based on their needs. The menu items may differ depending on the functionality of the model and installed KeeneticOS components. The control panel of the router consists of sections 'Main', 'Internet', 'My networks and Wi-Fi', 'Network rules' and 'Management'. In the upper right corner of the screen is the settings search bar. If you are not familiar with the structure of the web interface menu and do not know where the desired settings are located, enter the name of the function, service, service or word that may appear in their description in the search bar. If the desired setting is found, you will see a link to the appropriate section or page of the control panel. Context help is integrated in the web interface. You will see the symbol next to some settings, section names, links, fields and strings. Clicking on it you can see the description of this parameter or get links to our Knowledge Base articles on the topic (provided that you have a working Internet connection). There is a possibility to change the language of the web interface in Keenetic routers. 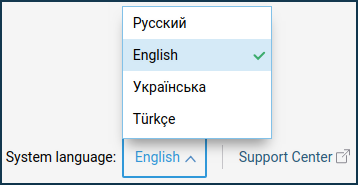 Interfaces are available in Russian, Ukrainian, Turkish and English. The language selection switch is located at the bottom of the page. 1. If you still can't connect to the device's web interface, you forgot or don't know the administrator's password, reset your Keenetic to factory defaults (you can do this using the Reset button on the case), and make sure your computer is set to automatically obtain an IP address. 2. Connect the router directly to your computer (excluding other network devices) using the supplied Ethernet cable (connect the port '1' on the Keenetic to the computer's network adapter). If your computer has multiple network connections, disconnect them, leaving only the connection to the Keenetic. 3. Alternatively, to connect to the Keenetic's Web interface, in the browser address bar enter the full IP address of the device with http:// in front of it (e.g. http://192.168.1.1). 4. If you have previously changed the default TCP port 80 of the web interface, enter it with a colon after the IP address. For example, if port 8080 is used, enter 192.168.1.1:8080 in your browser.